Choosing a good domain name is essential to any online business, but it is not as easy as it seems. There are many schools of thought as to what is the best method to name your domain, and one of the more popular ideas is Branding. This is where the domain name you give to your business (which may not or may not reflect the products you sell), develops a reputation overtime to which people come to know your business by. A domain name is the name you choose to identify your business, product, company, brand or services on the internet. It is also often referred to as ‘web address, ‘internet address’ or ‘website’. For example, Inology Pty Ltd is a registered Australian business, and our domain name is inology.com.au. 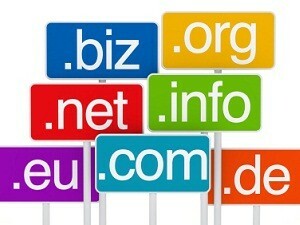 Choosing a good domain name is essential to any online business, but it is not as easy as it seems. There are many schools of thought as to what is the best method to name your domain, and one of the more popular ideas is Branding. This is where the domain name you give to your business (which may not or may not reflect the products you sell), develops a reputation overtime to which people come to know your business by. Some schools of thought believe branding to be a better long term solution than generic domain naming as explained further on. A very good example of branding is Harvey Norman, the famous Australian brand name we associate with household products and technology. Other famous brands with no relation to their product are Yahoo, Google, and eBay. Another school of thought believes you should choose your domain name according to what you sell, a generic name that describes your business. For example, if you already have a business or plan to start one making hand made candles, you might consider handmadecandles.com.au as your domain name. Although this may effectively get hits on a search engine and some sales, it doesn’t help much if you’re trying to establish a brand that people will come to know. A brand name in this circumstance such as candleking.com.au would be more effective to establishing a reputation for candle making. Get the name first - If possible, choose and register your domain name first, then name your business the same. If that’s not possible then make the domain name as close to your business as possible, or you might consider adding a small or relevant word to it like ‘net’ or ‘online’ or small letters like ‘e’ or ‘i’. Relevance – make sure it’s relevant to your product or service. There is no point registering coolcars.com.au if you sell motorbikes. You might get visitors but not your target customers. Branding considerations - If you've invested time and effort building up your brand name (Toyota, for example) you'd be better of using "toyota.com" as your domain name, rather than something generic like "greatcars.com". If you plan to build a brand name, consider registering other extensions as well. For example, yourdomain.com.au / yourdomain.net.au / yourdomain.com (if available). This protects you from others registering it and you loosing valuable visitors. Try and keep it short - It’s near impossible to register very short words with a .com or .com.au extension these days, but keeping it shorter will help people remember it better than long domain names. Avoid dashes in your name - People have difficulty remembering websites with dashes, and if they do remember, chances are they will get it in the wrong spot. Remember you want to make it easy, not harder for your customers to remember you and find you. Use the plural form - If you're selling mountain bikes, I'd go with "mountainbikes.com" instead of "mountainbike.com" as it seems more natural. Spelling - Use words that are easy to spell. Similarly, don't use words that are spelled differently in some countries. For example, "color" and "colour". Locality considerations - If you're marketing your products and services primarily to users in a single country then seriously consider using that country's top-level domain. For example, if you're retailing products primarily to Australians then choose to end your domain with ".au". This will help to identify your site as a local one. On the other hand, if you're marketing your products or services globally, use ".com" as your top-level domain. Legality considerations - Ensure that there is no trademark or other legal problems with the domain name you choose. Avoid similarities - Avoid domain names that are too similar to others. Not only do you want your brand to be distinct from that of your competitors, but you want avoid any legal issues. As soon as you come up with a perfect name, it is highly recommended that you register it as soon as possible. Even if you’re not ready to use it, you still should grab it while it’s available, particularly if it’s a catchy name and pertains to a particular product or service, because chances are someone else may come up with it too. If you currently have, or are planning to start an Australian based business, then it is recommended that you use the extension .com.au. This lets people know your business is Australian as well as being included when search engines search for Australian only businesses. Note - To register a .com.au extension, you will need to have an Australian Business Number (ABN) or Business Number (BN), and the name you choose must relate in some way your business or service. Of course there are other extensions available such as dot com, dot net and dot org. If you are unsure which is right for you, our team at Inology will help you choose the right one. Although there are many registrars available on the internet to register and host your domain name(s), it can be difficult to choose one that you can trust to deliver what it promises. Often the process can be confusing, so to make it easier and to give you piece of mind, Inology offers a service that can take care of all the details for you. Click here to contact our team at Inology.